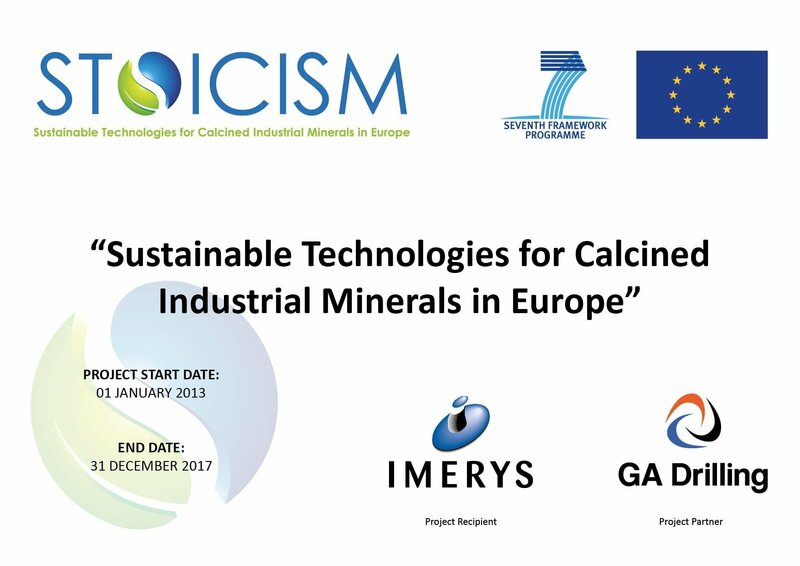 GA Drilling is a member of the FP7 Sustainable Technologies for Calcined Industrial Minerals (STOICISM) Consortium, consisting of 17 partners from 8 different European countries. Key contributors on this multidisciplinary platform include several universities, specialised SMEs & corporations, an industry association, as well as applied technology and research institutes. Focus of the STOICISM project will be to develop sustainable and innovative solutions for minerals processing routes reducing the carbon footprint of chosen calcined industrial minerals, thereby serving the whole supply chain from the extraction and waste valorisation for the end users.